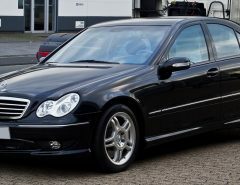 The Mercedes W220 S Class was the flagship Mercedes of the 1998 to 2005 era that was designed by Bruno Sacco. 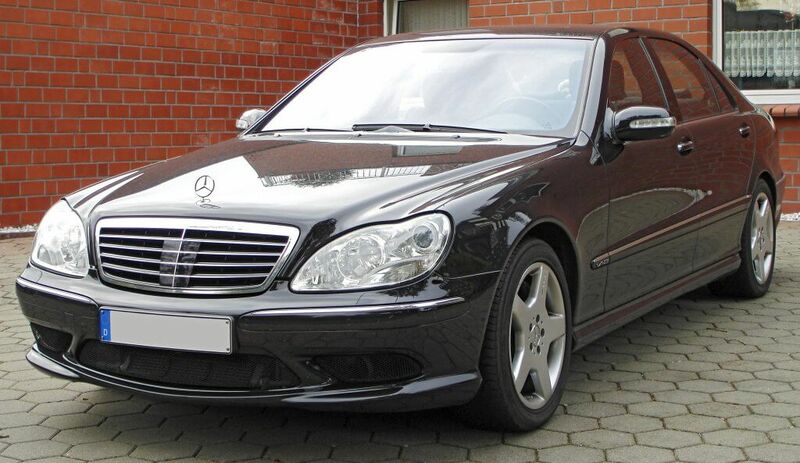 The W220 featured a facelift in late 2002 that fixed many common problems from the troublesome W220. 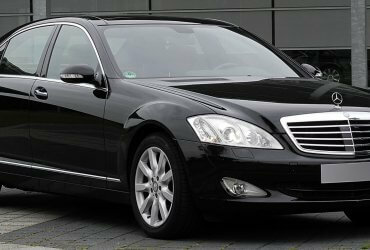 Any Mercedes S Class features the latest technology and gadgets that you will see on most common cars 5 years later. The common saying of “more gadgets, more problems” is quite relatable with the W220. The previous W140 had a very good production with superior build quality and to this day remain working as they did from the factory. 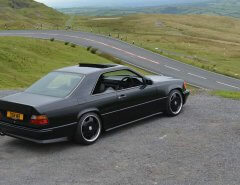 The W220 had a large variety of engine selection from the reliable 2960cc V6 to the extremely powerful S65 AMG, with a twin-turbocharged V-12 producing 604 BHP. 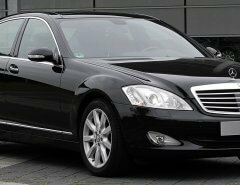 There were also a 3.2 litre diesel engine shared with the W210’s , which were extremely popular. The W220 S Class is a classic design that will always look excellent on the road. The prices of low end or spares and repairs can be as low as £500 but I would strongly recommend buying these for parts. A cheap Mercedes will be the most expensive Mercedes you will ever buy. 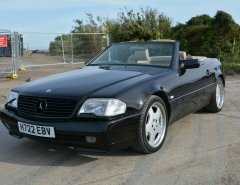 Good examples of the smaller V6’s can be purchased from £2000 to £5000, with the S500 and S600 ranging from £3000 to £10000 (for good examples). The more rare S600 Bi Turbo will be more in the £20,000 plus range. 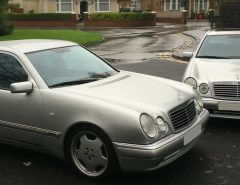 Unlike other S Class models (older and newer) the W220 did not have a coupe version and only came in the saloon variant. Rust – Sadly the majority of Mercedes all suffered rust during this era and the W220 is no exception. The majority of arches will suffer rust, as well as the bootlid and suspension related parts such as the turret. 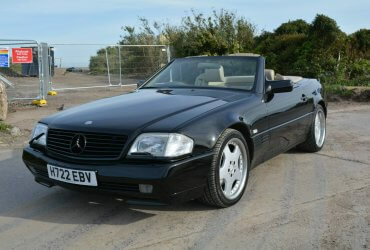 The Facelift W220 will suffer from less rust than the early S Classes. Airmatic Suspension – As with other airmatic suspension, check for leaks before buying the new pump. Leaks on the W220 air suspension usually occur at the strut tops and the pump pipework. An airmatic pump will require calibration with the star machine once fitted. Replacement front struts would be the first protocol to repairing the airmatic suspension. Crank Position Sensor – The W220 S Class will go through these quite happily and will not start from when the car is hot. ABC Pump is Pre-Facelift W220’s – Pipes tend to breakdown over age and is mostly common in cars aged from 98-2002 with many warranty claims successful. Electronic Components – Many small annoying electrical gremlins such as radio issues or cluster lights staying on are reported but it would be too long for this list to mention all of them. Overall, the W220 will have problems but so will many other cars of this era. This S Class has many qualities that not many other newer cars cannot match and is still a high spec luxury car that turns heads. There are still many W220’s on the road with “mega mileage” and still going strong, which they probably will for another 20 years. The modifications that you could do to the W220 S Class is endless. 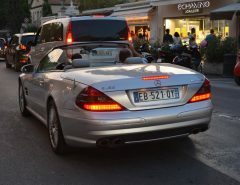 The W220 S Class was one of the first AMG’s to have the quad exhaust system (along with the W211 E55). Adding a quad exhaust system will make the rear of the S Class look very aggressive. If you are looking at lowering the W220 S Class, you are in luck. Thanks to the airmatic suspension, you are able to lift the car up and down, similar to those expensive air suspension setups that cost people thousands. To ensure that your W220 can get as low as possible, you will need to buy a stabiliser link rod set and that is all you need.